Hundreds of historic buildings and landscapes under the administration of the US Department of Veterans Affairs (VA) are at risk of being abandoned or demolished, claims a study from the National Trust for Historic Preservation released earlier this month. According to the report, entitled “Honoring Our Veterans: Saving Their Places of Health Care and Healing,” the VA has failed to comply with federal preservation requirements and maintain their historic properties, some dating back to the Civil War. The agency has instead favored the expensive construction of new facilities. Owners of over 2,000 historic buildings and landscapes across the country, including hospitals, cemeteries, farm houses, and residences—nearly half of which are unoccupied and at risk of deterioration—claim the VA is currently constructing $10 billion worth of new medical centers despite analysis revealing that it may be more cost effective to renovate existing properties. Texas attorney and preservation expert, Leslie Barras, argues in the report that the VA’s poor management has lead to “wasted taxpayer dollars and the irreversible loss of our nation’s cultural legacy.” The National Trust particularly highlights two projects, the Battle Mountain Sanitarium in Hot Springs, South Dakota, and the Milwaukee National Soldiers Home in Wisconsin, both of which have been designated “National Treasures” by the organization. 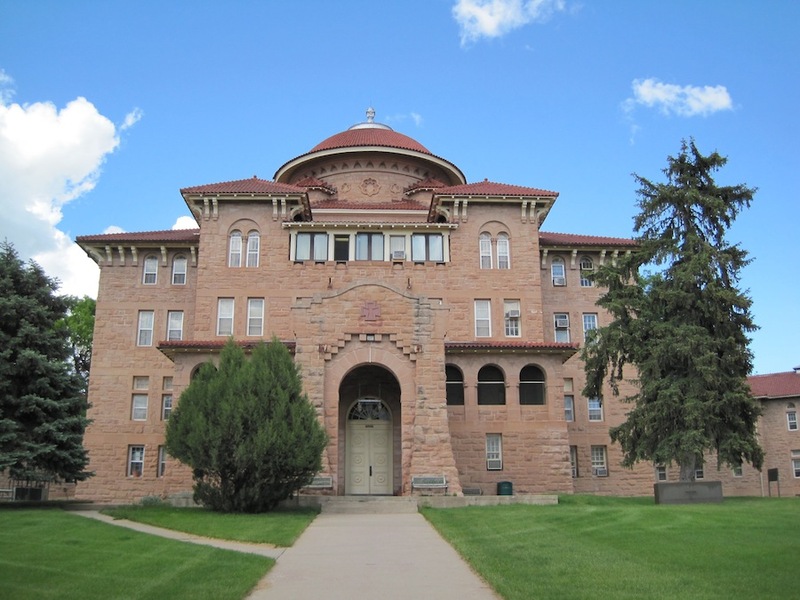 Battle Mountain Sanitarium was built in 1907 using local sandstone in the Spanish Colonial/Romanesque Revival style. Architect Thomas Rogers Kimball designed the building to provide short-term respiratory treatment for veterans of the Civil War. Instead of restoring the historic building, the VA is proposing to close down the facility and relocate its medical services 60 miles away, citing the claim–identified by the report as false–that patients and staff would prefer a new facility. 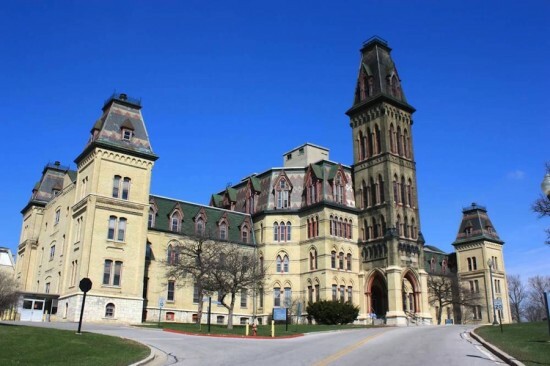 Another Civil War–era property, the Milwaukee National Soldiers Home and its campus, represents one of the first buildings of its kind in the country as well as some of the oldest in the VA’s holdings. Designed in a Gothic Revival style by Milwaukee architect Edward Townsend Mix in the 1860s, the campus’ stunning “Old Main” stands unoccupied, unmaintained, and in danger of collapse. While the VA’s stock of buildings crumbles, the number of veterans turning to the department for healthcare in the has dramatically risen in the past decade, climbing from 3.4 million in 2000 to 6 million today. But according to the report, the VA has repeatedly elected to construct new facilities instead of putting in the effort to restore and maintain their amazing wealth of historic properties. As Barras told the LA Times, “there’s a perspective that we can’t adapt old buildings, especially for medical facilities.” (Prentice Women’s Hospital, anyone?) But preservationists are trying to change that notion.